Real Human Remains found in a Haunted House!! Haunted house attractions can often have a rough time of it. They have to carefully plan their attraction to make sure that it is scary enough to make customers jump, but not so terrifying that they risk triggering heart failure! It’s a fine line to walk and the most common complaint that haunted house operators hear is that they are not authentic enough and the scares come off as being too fake. 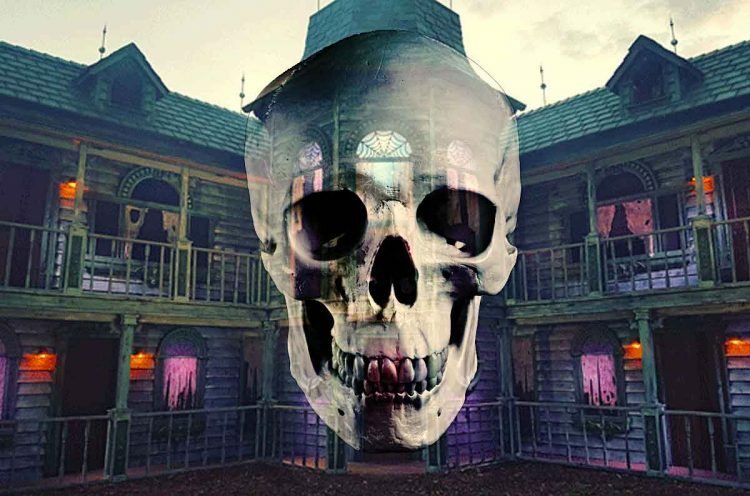 However, for one haunted house in Green Bay, Wisconsin being authentic is certainly not something they have to worry about after finding genuine human remains in the attraction! Several years ago, somebody donated a pair of 19th century coffins to the haunted house, but they ended up just sitting in storage until the owners of the ‘Terror on the Fox’ haunt could come up with a way to use them. After a couple of years, the coffins had more or less been forgotten about and were simply gathering dust. However, this year the haunt was undergoing some remodelling work and some of the staff members decided to pull the donated coffins out of storage and open them up. The staff got a rather nasty surprise when they prised open the coffins and discovered human remains inside! So, how did these remains come to be donated to a haunted house? Was someone trying to dispose of them discreetly? Not much is actually known about the coffins and their contents. It is believed that the caskets themselves have been estimated as coming from the early to mid 1900s. The human remains that are held within are likely not somebody’s relatives that have either never been buried or exhumed from the grave! In fact, it has more or less been confirmed that the skeletons are actually medical skeletons that have been donated and treated. This theory is supported by the fact that one of the skeletons is completely intact. It seems that they may have been former medical specimens which were later placed into the coffins to serve as a prop somewhere else before beign donated to Terror on the Fox! What will become of these human skeletons? Well, the two skeletons have now become a permanent part of the Halloween haunt. They are now presiding over a room that is lined with fake skulls! Terror on the Fox is certainly not the first spooky attraction to make use of human remains in their décor. At one time, Disneyland’s iconic Pirates of the Caribbean ride was decorated using human bones obtained from UCLA Medical Center. This was done because so much effort had been put into every single detail of the ride – which was the last to be supervised by Walt Disney himself – and the quality of faux skeletons at the time was sub-par and the team felt that it was letting down the authentic look of the ride. That is why the decision was made to use genuine anatomy specimens. However, when technology began to improve and more authentic looking bones could be produced, the remains were allegedly removed and returned to their countries of origin for a proper burial. This is the official line from Disney, but many people including several Disneyland employees claim that this may not be the case and at least a few of the skeletons that remain are genuine. The general consensus is that at least 3 of the ghoulish pirates are genuine human remains – two skulls that sit on a small island past the second waterfall and a complete torso that is trapped beneath a beam in the burning jail house. Those who believe the tale say that you can spot the human bones because they are darker and more aged than the faux ones. It is suggested that at least one of the skulls on the Pirates of the Caribbean ride was donated by a Disney Imagineer! –About the Author: Alyson Duncan is a freelance writer with a passion for the weird and the wonderful! As an amateur paranormal investigator she spends much of her free time in dark abandoned buildings chasing shadows in the dark. Follow her on Twitter at @alyson_duncan.